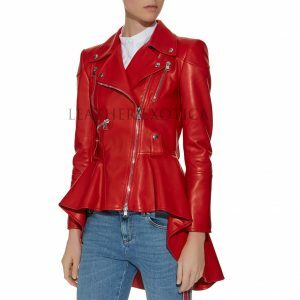 Get hold this new style women leather jacket which is crafted from lambskin leather. 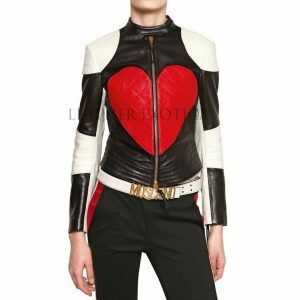 This is a quilted style women leather jacket for women which is featured with front zipper closure and also has long sleeves with zipper cuffs. This leather biker women jacket has zipper pockets and stitched detailing. Also, it has round neckline and it is fully lined.